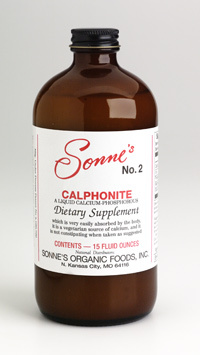 Sonne's #2 Calphonite™ is a unique, time-tested liquid calcium supplement that contains essential metabolic cofactors: phosphorous, magnesium, and manganese. Our patented process breaks down dicalcium phosphate into its ionic state, making the calcium more soluble and bioavailable. The calcium in Calphonite™ is absorbed 8 times more readily than the calcium in bone meal or regular dicalcium phosphate, permitting assimilation into the bloodstream within an hour and a half. Many Americans over the age of 30 are deficient in hydrochloric acid, and cannot properly digest and assimilate protein- and calcium-rich foods. Sonne's #2 CalphoniteTM provides liquid calcium supplement in a naturally acidic state, providing an immediately bioavailable all-natural calcium supplement. The body needs vitamin D to absorb and metabolize calcium efficiently. We recommend taking #5 Cod Liver Oil to supply vitamin D that works to enhance calcium utilization. 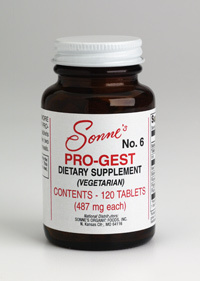 The active ingredient in Pro-Gest is papain, which is derived from the papaya fruit. Papain is a natural proteolytic enzyme that breaks down proteins and supports a healthy digestive process. Other ingredients include papaya seed meal, Russian black radish, and betaine hydrochloride in a base of dried juice from organically grown beets - the same powder used for our #18 Whole Beet Plant Juice Tablets. The betaine hydrochloride acts to supplement the natural hydrochloric acid in the stomach. * Today´s refined, processed, preserved, and fragmented foods have created deficiencies and chronic conditions that have significantly compromised our digestive systems. Many Americans over the age of 30 are unable to produce sufficient quantities of gastric acid and digestive enzymes to properly digest their foods – resulting in symptoms of indigestion. When foods are improperly digested, important nutrients are unavailable and can result in nutritional deficiencies. Furthermore, undigested food putrefies (proteins rot) and ferments (sugars and starches spoil) creating significant autointoxication (self-poisoning). 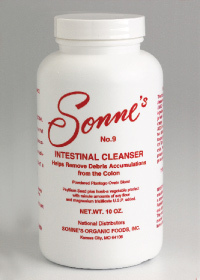 A perfect accompaniment to #7 Detoxificant is our #9 Intestinal Cleanser. Mixed together in juice, this Cleansing Drink offers the scrubbing and roughage benefits from soluble and insoluble fiber from psyllium, and the detoxification properties of bentonite. Our Herbal Supplement is a blend of cascara sagrada, aloe powder, and licorice root that is intended for relief of occasional constipation. 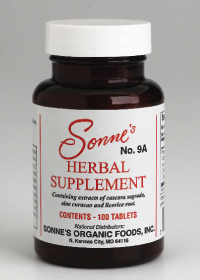 We recommend taking two Herbal Supplement tablets the night before starting a 7 Day Cleansing Program. They can also be used daily while on the Cleanse, but should not be used regularly for an extended period of time (i.e., more than one week). If symptoms of constipation persist, you should consult with your health care provider about addressing the root cause of the constipation. Our experience has shown that people generally get better results from the 7 Day Cleansing Program if they take Herbal Supplements with their final Cleansing Drink of the day. Poor dietary choices, low fluid intake, and lack of exercise are factors that can directly contribute to constipation. Bowel regularity should be achieved and maintained through changes in lifestyle, and not through the use of laxatives. 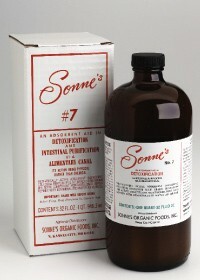 A sample of this product is a component included in our 7 Day Cleansing Program kit. GreenLife® has been produced since 1953, and is the original and pioneer of organic cereal grass products. It is a 100% vegetable food, containing 92% dried extracted juices of organically grown cereal grasses: barley, oats, and wheat (no chemical fertilizers or insecticides are used); and 8% papain, beets and sea kelp. The grasses are cut at the young, rapidly growing stage, when the maximum nutrition is in the blade. The juice is extracted from the grass, chilled, and dried to a powder by a low-heat, vacuum dry process. GreenLife® is made without the use of fillers, binders, or synthetic drying agents, such as maltodextrin (sugar). 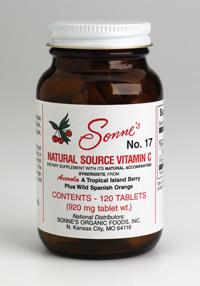 Every known precaution is taken to preserve the integrity and freshness of the vitamins, minerals, and enzymes naturally present in the dried juice. GreenLife® is bottled in inert amber glass bottles to block light and prevent nutrient reactivity with plastic, and sealed with nitrogen to prevent oxidation. 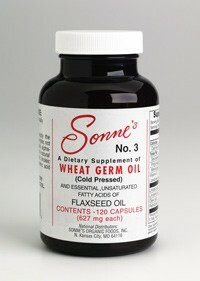 We use cereal grass - not the grain - so there is no gluten, making it is safe for individuals with wheat allergies. 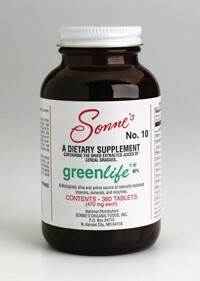 GreenLife® is a concentrated product, retaining its natural balance as a complete all-food supplement. It is nontoxic in any consumable amount, and helps balance nutritional deficiencies resulting from consumption of devitalized and processed foods. * GreenLife® is available in tablets (#10) and in powder form (#11). The beets used for this product are organically grown. The whole beet (leaves, stems, and root) is juiced, and the extract is vacuum dried at low temperature to retain maximum quantities of the enzymes, vitamins and mineral factors. The drying process does not use fillers, binders, or stabilizers - such as maltodextrin (a sugar that is used as a drying agent). This product, being a concentrate, is nutritionally potent. It takes 200 pounds of beets to make 2 pounds of beet powder. Unlike inorganic sources of iron, the body assimilates iron from the beet root very easily, because iron is found in an organic complex. Beets also contain potassium, magnesium, phosphorous, calcium, sulfur, iodine, vitamins and many trace minerals. 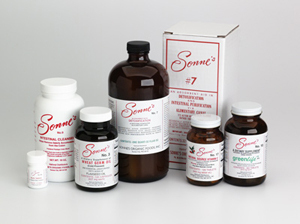 The Sonne´s 7 Day Cleansing Program is designed to reduce your food intake, while providing the vitamins, minerals, and other nutrients that your body needs. This kit can be used as a Daily Maintenance Program to derive the benefits of nutritional supplementation and calorie restriction. Or, it can be used in a 7 Day Cleansing Program, as an integrated system of self-purification that combines the benefits of fasting, fibrous intestinal cleansers, nutritional supplements and daily colon irrigation. It is a complete program of detoxification that helps rejuvenate every organ, gland, tissue and cell in the body. * You will be amazed at the beneficial results of this program, and you can be assured of the best products Nature has to offer!